Many activities supporting children, especially those from disadvantaged backgrounds, have been held nationwide to mark International Children's Day on June 1. Around 600 disadbled children participated in the 21st festival for children with disabilities which was held at the Culture and Labor Palace of Ho Chi Minh City on May 31. 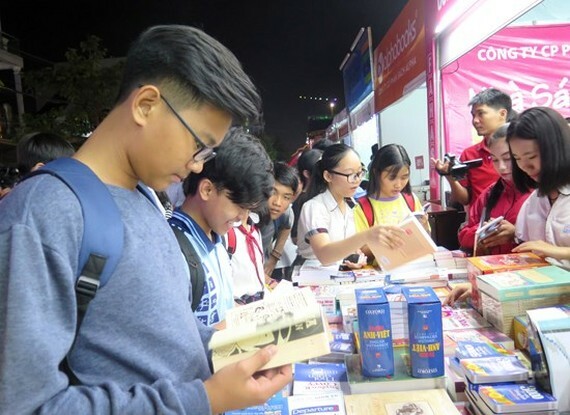 Ca Chep Book Festival featuring more than 10,000 copies in various fields, such as comics, literature, text and reference books and others opened at Ho Chi Minh City Exhibition Hall on the same day. The Vietnam Children Support Fund, Hue University of Medicine and Pharmacy, the Blouse Xanh Charity and Volunteer Club, and the Children’s Department of Hue Central Hospital presented 400 gifts worth VND45 million and 10 scholarships worth VND10 million to children patients at the Hue Central Hospital. Da Nang City Party Secretary Nguyen Xuan Anh also visited and offered gifts to children with cancers at Da Nang Oncology Hospital.